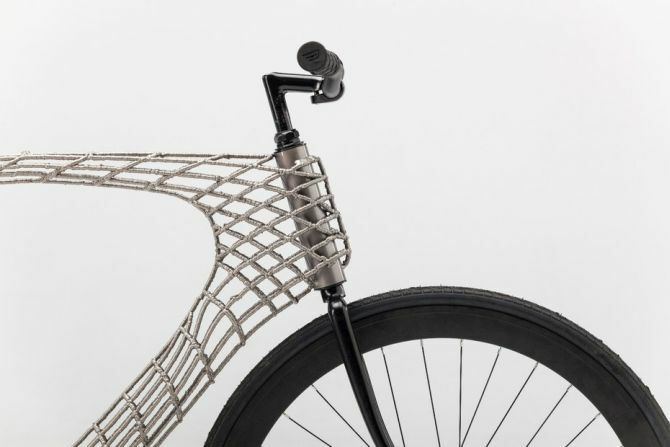 MX3D, an innovative Amsterdam-based startup has teamed up with a group of students at the Delft University of Technology to create a 3D-printed stainless steel bicycle. Known for groundbreaking robotic 3D print technology, MX3D came into limelight few months back with their plan to build a 3D printed stainless steel bridge in Amsterdam by 2017. 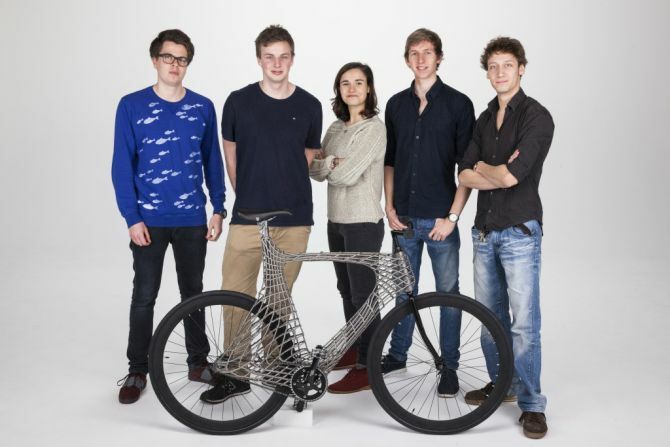 To demonstrate their pioneering technology, MX3D invited TU Delft students to create something using it which resulted in 3D printing a stainless steel frame for the Arc Bicycle. 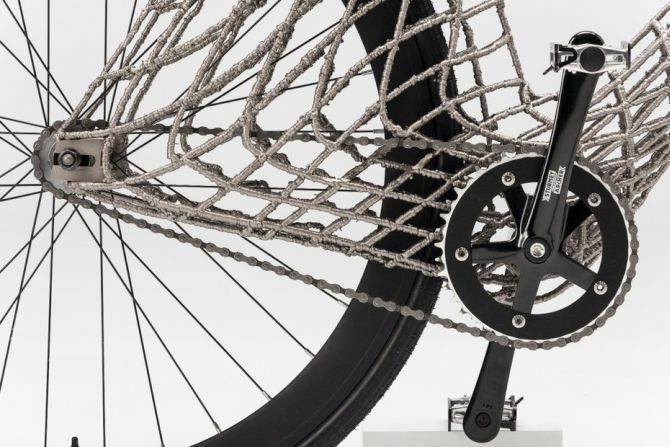 The 3D Printed Arc Bicycle is built using the Wire and Arc Additive Manufacturing process (WAAM) with Mataerial 3D printer which was developed by MX3D back in 2013. The process uses multi-axis robotic arms to 3D print metals and resin in mid-air, without the need for support structures. This method of 3D printing makes it possible to produce medium to large scale metal objects with almost total form freedom. The project was completed over the course of three months at the Industrial Design Engineering 3D Building FieldLab. The bike was unveiled at the university science fair on 8 January. 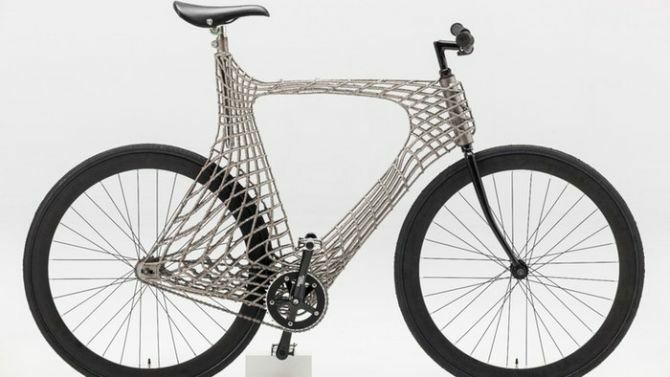 Weighing around 12 kg, the 3D-printed stainless steel bicycle has been tested around the city of Delft where it handled the cobblestone streets with ease and glided swiftly through sharp turns. 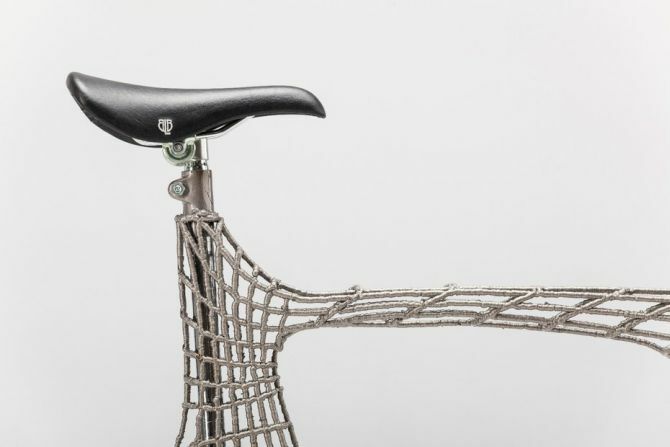 The Arc Bicycle by TU Delft students will also be displayed during the Matching for new materials – Expanding the horizon conference on 15 February in Neuss, Germany. You can get additional details about the Arc Bicycle project here. How about a 3D-printed supercar?